A positive way to decrease the negative emotions in your life. Over the years, the field of psychology, has had a lot of focus on negative emotions – fear, worry, anger, sadness. 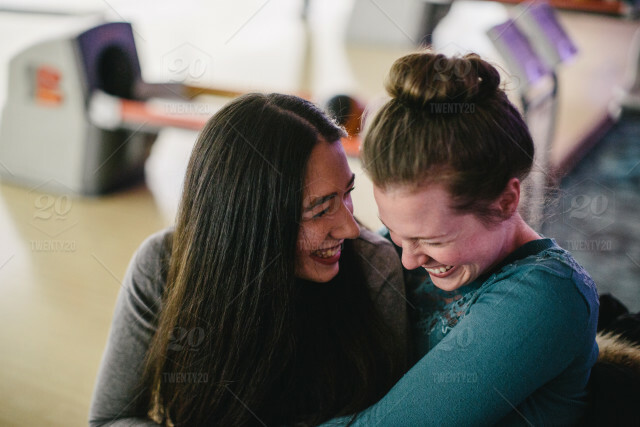 But Barbara Fredrickson, a social psychologist, has focused her research for the past 20 years on the importance of positive emotions, such as gratitude, serenity, interest, hope, pride, amusement, inspiration, awe, and love. One of the hypotheses related to positive emotions that Fredrickson put forward is called the “undoing hypothesis”. Her theory proposes that positive emotions can undo the undesirable consequences of negative emotions, acting as “antidotes” to any lasting negative effects. In a study that supported this hypothesis, Fredrickson and her colleagues experimentally induced University students to becoming anxious (told them they would have a short time to prepare a speech that would be videotaped and evaluated by peers). The students experienced increased heart rate and increased blood pressure (cardiovascular symptoms of anxiety), indicating an increased level of negative emotions. Students then viewed videos that elicited various emotions – the positive emotions of amusement or contentment, neutral emotions or sad emotions. 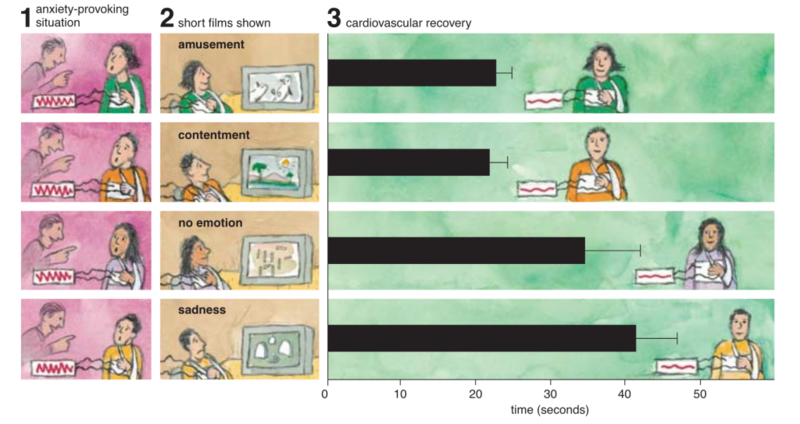 Those students who saw the videos eliciting positive emotions recovered from their anxiety and cardiovascular symptoms more quickly than did students who viewed neutral or sad videos. Fredrickson concluded that the positive emotions elicited by the videos “undid” the negative effects of believing that they were going to be evaluated on their speech. Fredrickson proposed that people might be able to improve their psychological well-being, and perhaps even their physical health, by setting up experiences of positive emotions at times when they are trying to cope with negative emotion. 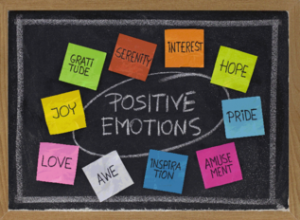 Positive emotions do more than just allow us to feel good. They may also ‘‘undo’’ the effects of negative emotions, allowing us to bounce back more rapidly from stressful experiences. We can all benefit from the ability to better regulate our negative emotions, and it seems that activating positive emotions when we are dealing with stress may be one good way to do so. So how can we increase our positive emotions? In another recent psychological study, University students were asked to describe the strategies that they used to create and maintain positive emotions. The strategies were then looked at in terms of their relationship with short-term and longer-term emotions and well-being. The researchers found that some strategies used by students to create positive emotions elicited short-term pleasure, but did not relate to long-lasting positive feelings (e.g., going for drink, partying, buying something for myself, fantasizing). Other strategies that students described were not related to greater immediate pleasure (possibly more immediate negative emotion), although they may have lead to more positive feelings in the long-term, (e.g., finishing a task, working toward a goal, using a talent to accomplish something, meditating or engaging in spiritual practices). Thinking about the good things in my life. So the next time that things don’t go the way you want them, or you don’t accomplish something that you hoped to, don’t beat yourself up, don’t tell yourself you don’t deserve to feel good. Instead, consider some of these “engagement” strategies as helpful “antidotes” to use as you try to “undo” the effects of the negative emotions that you are experiencing. Take care, and try to cultivate some positive emotions in your life. ← Should you be cutting back on social media time?